Welcome the changes of seasons with this fall sampler. 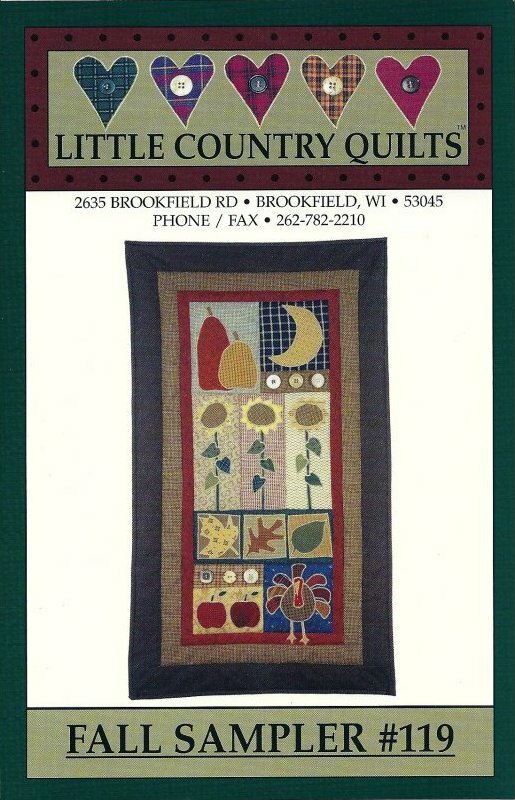 Pattern includes directions for one wall quilt. Scraps may be used for many of the applique pieces.